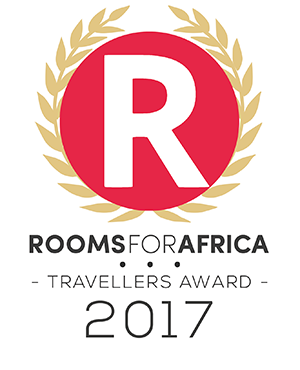 The Retreat At Groenfontein (Swartberg Nature Reserve) in Calitzdorp has been voted a Best Value establishment on Accommodation Direct. "Good morning Marie and Grant! Well, we are safely back home in Cape Town, after our awesome, nostalgic road trip of three weeks. The highlight for us was ending our trip at your beautiful Retreat at Groenfontein. Those blissfully peaceful three days, surrounded by mountains, in a very luxurious cottage, will always be one of our fondest memories. Indeed, it will certainly be on the map for us to visit again sometime in the future. We just loved the evenings, sharing drinks with you and your guests, and chattering away to new-found friends during scrumptious meals. 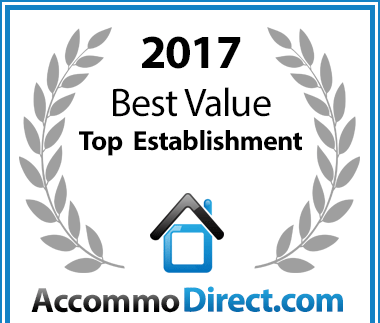 Our compliments to you and your efficient and friendly staff. Look after yourselves, you are two very special people! Thanks once again, for sharing your piece of Heaven on Earth with us. Merry Christmas and a successful and healthy New Year." "I have just had a the most wonderful week at the Retreat. Marie & Grant are the most perfect hosts and the ambiance is perfect. Wonderful bird life, fantastic Karoo flora, lovely walks and absolute silence at night…what bliss. You don't know what you are missing. It is a must!…Oh, and the food is to die for…try for yourselves." We’r back in Germany - many snow and cold ! We would like to say many thanks for the days we enjoy in your lovely Retreat. Thanks also for your perfect service and your friendly way to all guests. The Retreat at Groenfontein was a highlight of our stay in South Africa and we are sure, that we will come to these fantastic place, once again. GPS Location: (WGS84) - dms: S33° 26' 15.6" E21° 47' 20.9"